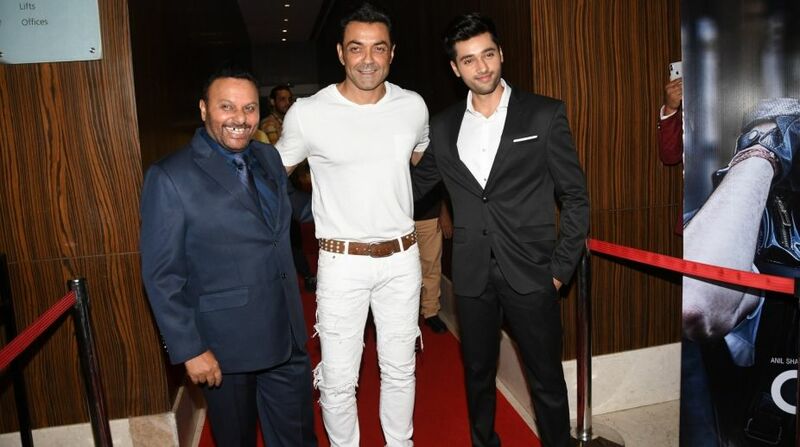 Filmmaker Anil Sharma, who has directed his son Utkarsh’s debut movie Genius, says he was not gentle with him on the sets at all. Anil hosted a wrap-up party of Genius along with Sunny Deol, Bobby Deol, Ayesha Jhulka, Aruna Irani and Madhu Chopra, apart from newcomers Ishita and Utkarsh here on Wednesday. Anil told the media: “Everyone must be thinking that Utkarsh is my son, so I must have treated him gently on the film sets, but that’s not the case. I am a taskmaster as a director. In Gadar…, Utkarsh was a child artiste. On his experience of working with Utkarsh in Genius, Anil said: “It was really great. Since his first film as a child actor, I realised that he has a special talent. Then he did a film production course in the US. I think in this film, he has done a fantastic job with his realistic performance, but now things are in the audience’s hands — whether they will accept him or not as an actor, as I think the image of an actor is largely created by the audience. “As an actor, you just have to make sure that you have to put your best possible effort in every aspect — be it dancing, action, drama and living the character which you are playing. In this field, fathers cannot shape careers of their child if that has been the case then there would have been so many successful actors from film families”. Nawazuddin Siddiqui plays an important character in Genius. On working with him, Anil said: “Everyone knows that Nawaz is a natural and wonderful actor. I remember when I narrated this film’s script to him, he agreed to play the part because he liked the script, and at the same time, he told me that Utkarsh is a natural actor. Genius is slated to release on August 24.